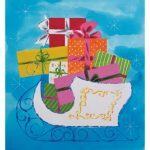 Here are 3 free patterns and tutorials for Christmas in July crafts for quilters. These projects result in personalized seasonal gifts and beautiful decorations. 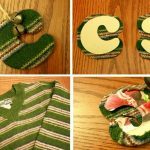 Not only will they keep your hands occupied with fun small projects. They will lighten your load this coming Christmas of things to make and prepare. Some of these projects you can bring to the beach, others you can do in the garden or on the porch. But for all, you’ll need a sewing machine handy… unless you want to do things the traditional way: by hand! 1. 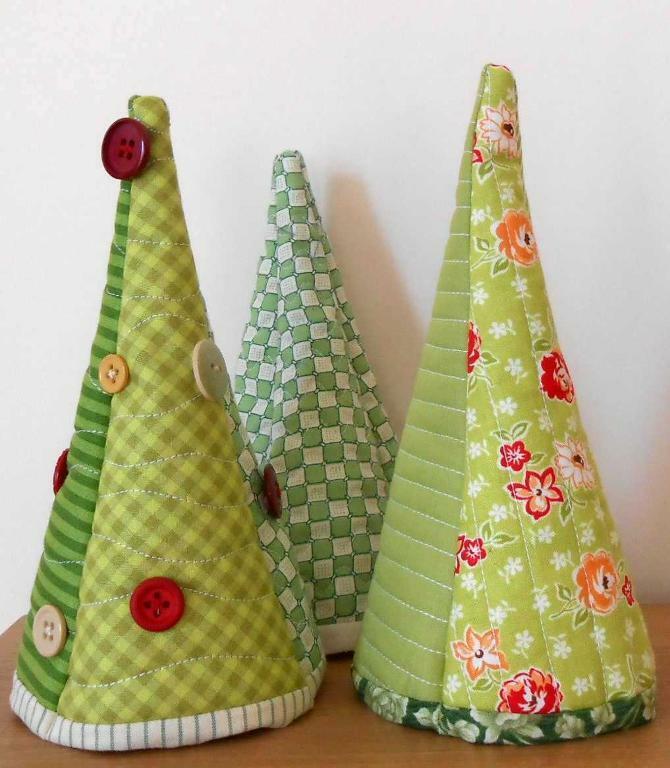 Free Quilting pattern for a super-easy, but oh-so-cute quilted Christmas tree. This pattern by the Patchsmith comes with a full-size template, color diagrams, and easy-to-follow instructions. The finished size is about 5″ x 8″. Of course, you can scale the pattern and make different sized Christmas trees to make a mini forest also. 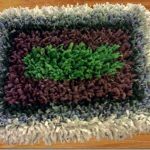 As you only need one 12″ square for each tree, this is an ideal project to use up quilt test squares created when trying out a new quilt pattern. Or, simply use up three 6″ x 10″ quilted (leftover) rectangles for a scrappy tree. As you know, I’m all about using Alternative Christmas Trees instead of living ones, this project is meant to be featured here at the FineCraftGuild. You’ll only need a 1/4 yard of scrappy fabric for this Scrappy Christmas Stocking Quilting Pattern. Stockings such as these are a great way to change your color scheme for Christmas without making it too invasive (so that you have to get an entirely new set of Christmas decorations). The quilting gives a luxurious look to an otherwise classic Christmas item. A fun project to make. 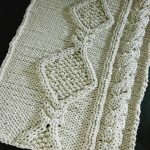 Great opportunity to try out a few new stitch patterns, if you are so inclined… Or, kiss, and sew them straight up. 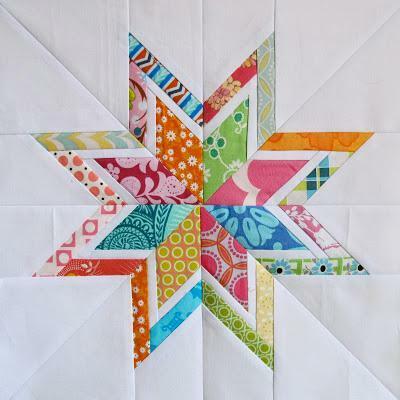 The colors are just gorgeous in this Lone Starburst Quilt Block Pattern by Six White Horses. I can see a different version of it in pastels and blues, making this into a stunner for Christmas. Decorate the hallway with a frames star block, or use it as the front of a pillow. 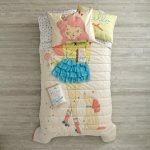 Check our own online quilting course for beginners for alternative free star quilt block patterns and how-to instructions. At the time of this writing, this is a free project. WHAT ARE YOU PLANNING TO DO THIS YEAR FOR THE HOLIDAYS? 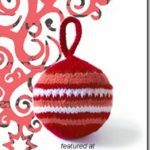 I love to hear about YOUR knitting, crochet, sewing & other craft projects, as I am doing a round-up of Best Holiday Crafts projects you are/will be doing during the holidays this year. I’m sure many readers would love to see your work . Is it a Christmas wreath? A set of hand-made thanksgiving table setting name cards? Or have you made some beautifully stencilled cloth napkins? Handmade Christmas tree decorations perhaps? Simply leave a comment below with a description of your project, and optionally a link if you have blogged about it.